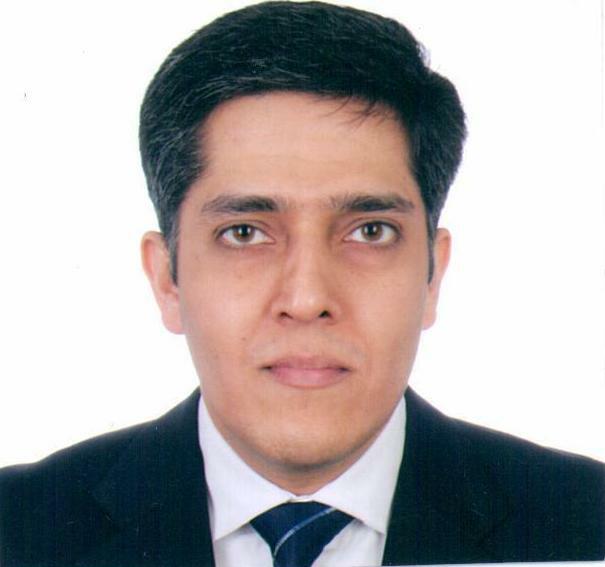 I am happy to feature Mr. Rahul Sethi, one of the role models of Indian e-Commerce industry. He is the CEO & Co-Founder at ladyblush.com – India’s first only women website. Many thanks to Rahul for sharing his thoughts with the community over this online interview! Here are the excerpts of the interview. Pawan: Tell us briefly about Ladyblush.com & its key differentiators? Rahul: LadyBlush.com is India’s 1st Women only Shopping Website. We are building this as a marketplace wherein we partner with vendors specializing in women merchandise, from across India. Currently we have close to 200 vendors providing us with a catalogue size of more than 12000 SKUs. The differentiations of LadyBlush strengthen its positioning and its positioning strengthens its differentiation. Pawan: How is the demand pattern on your portal? Which categories are getting good response from Indian female buyers? Rahul: We have seen consistent demand across all categories on LadyBlush.com; which include western and traditional wear, intimate wear, home décor, Art Jewellery, Cosmetics. Some of our top sellers include – nightwear, western dresses, sarees, salwar suits & art jewellery. Pawan: How many cities is ladyblush.com active in? How is the response from tier II & tier III cities? Rahul: Currently we cover about 8000 pin-codes across India; which is about 95% of reach of ‘all organized logistics players in India put together’. This covers about 85% of Indian ecommerce population. Our response from Tier II & Tier III is far more than what we had anticipated considering our focus is women and women from smaller towns are perceived to be less outwardly and less open to emerging concepts like ecommerce. And it is not men who are shopping for women but women themselves. Pawan: What are your marketing strategies for reaching out to your target audience? How do you ensure repeat sales? Rahul: Currently we are overly relying on word of mouth as our biggest channel to drive traffic to the website. Apart from this we have done few partnerships with banks, credit card companies and other consumer companies with emphasis on women users. Direct marketing and base management is one of our key focus areas and it ensures relevant communication basis the classification of the user, resulting in healthy relationship and good repeat ratio. The other key focus driver for traffic and transactions on our website is the catalogue which is constantly growing and getting richer by the day. To top it all, it is our relentless customer obsession to ensure great buying experience resulting in getting buyers back and also recommending among friends. Pawan: Are you looking to raise funds considering the future growth & how do you plan to utilize those? How do you see investors interest level in such online start-ups who are niche in offerings? Rahul: Yes, we are looking to raise capital, though our fund requirement for this business is very different from a typical ecommerce set-up where it requires millions of dollars to succeed. This is because we don’t look at our business as an extension to Retail but a ‘Technology Facilitation Play’ in Consumer Retail Space. LadyBlush.com is a marketplace (no inventory) model hence we have zero investments in inventory; that reduces capital requirement. Being a niche player provides us with a lot of leverage & efficiency in our communication & marketing hence again reducing our capital requirement. There is a strong perception built about ecommerce being highly capital intensive. Unit economics and profitability of certain models is still question mark. Unlike West, High profile exits in ecommerce in India are yet to be seen. Though I clearly believe that ecommerce is the most efficient way to go retail in this country and highly scalable and profitable ventures would be created in vertical and niche spaces in the Indian market. And it is only a matter of time when we will see renewed interest of investors towards this medium. Pawan: As per a recent survey by e-Business India, we found customer service is the most preferred component of e-Commerce strategy. Your views on this? Rahul: In a socially connected world of today – poor customer orientation is not an option at all. In eCommerce, we need to move from great customer service to great customer experience – which encompasses the entire transaction, right from when the customer first reaches the website to when she/he receives the product ordered. Customer service is not just one department’s responsibility, it involves the entire organization. We have a strong focus on the customer experience and not one day goes by without us making a change to some process / policy or web setting that aims to deliver a better customer experience. We have a very efficient business model that allows us to make these investments while staying competitive in our pricing. Also, we plan to grow at a pace at which we can properly manage the entire customer experience. Over the coming months we will be investing in technology, web site usability research and assisted buying among other things to ensure customers have a seamless buying experience, and one that is informative and enjoyable. Pawan: How has your experience been with Indian e-business industry over last 13 years and what is your advice to the existing/upcoming online ventures? Rahul: It has been very enriching experience over last 13 years to be associated in creating some of the top consumer retail brands in the country. 6 years of my tenure at Baazee.com at the start of my career was like an institution to me, where I got exposed to the entire lifecycle of an organization and it laid a solid foundation for my career. Post that, every role of mine has taught me something new and given me different perspectives; resulting in better hold on the subject. Have full Conviction in yourself and your idea. Perseverance – Key to success. It is a long battle and you should build your stamina with a 5 years time frame. Last but not the least – Enjoy every moment of entrepreneurship journey and don’t leave it for the end. Journey is more important than the end result. Rahul Sethi earned his MBA degree from University of Bombay in 1999 and did an Executive Management Program at Harvards Business School in Year 2010 (as part of Naspers). He has a Rich and Diverse work experience of 13 years with Start-ups in the Internet ecommerce space. Since last 1 year he has been involved in his own entrepreneurial venture LadyBlush.com where he is a co-Founder, Investor and CEO. * He was a core part of Baazee.com team (April 2000 to Jan 2006) and worked in various roles of Category Management and later in Marketing at eBay India (eBay bought over baazee in Jun’04). He was instrumental in building the Categories – ‘Consumer Electronics, Cameras & Mobiles’ for Baazee.com which contribute for more than 50% of revenues for the company. With eBay India; as Internet Marketing Manager; he set up ‘Online Affiliate marketing’ program for the website. * As Head of Marketing – Futurebazaar.com, (Jan 2006 – Jan 2008) he was instrumental in taking the company among the top 3 ecommerce shopping sites in the country; in less than a year of launch.